They are recyclable! Well kind of...what I really mean is that pineapples can regenerate. If you cut off the top of a pineapple, you can plant the pineapple leaves to grow a new plant. Pineapples contain Bromelain, a natural anti-inflammatory we use in dermatology to prevent bruising after procedures. Pineapples take about 18-20 months to become ready to harvest. I guess all good things are worth the wait. 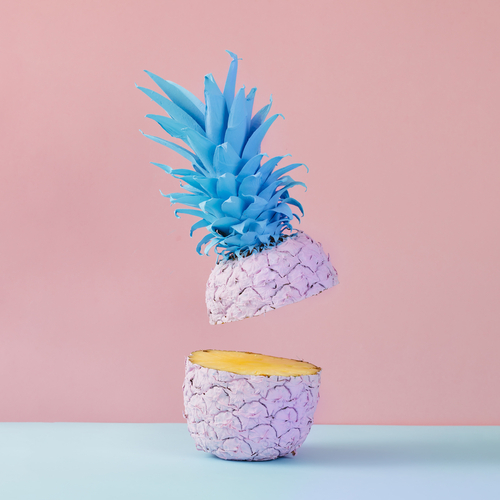 Pineapples are bromeliads (a plant native to tropical and subtropical America, typically having short stems with rosettes of stiff, usually spiny, leaves). In fact, they are the only edible bromeliad.